Returning for the second time this year, Opera on Tap brings its signature irreverent approach to opera to The Flea in its resident immersive cabaret series. 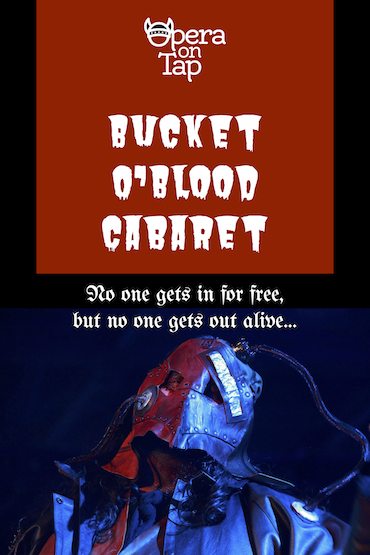 In honor of the season, we are pleased to present The Bucket o’Blood Cabaret. Featuring an eclectic array of creepy operatically-tinged songs by Christopher Berg, Daniel Felsenfeld, Tom Lehrer, David Mallamud, David Malloy, One Ring Zero, Kamala Sankaram, Stephen Sondheim, Weird Al Jankovic, and others. The event will also include the first fully-staged live performance of The Parksville Murders- The world’s first virtual reality opera, by composer Kamala Sankaram and writer Jerre Dye. The VR opera, directed by Cari Ann Shim Sham and produced by Opera on Tap with Shim Sham and Todd Perlmutter won Best VR Video at the NYC Indie Film Festival in 2017 and premiered online as featured content on SamsungVR in October 2017. The piece is currently being featured on InceptionVR and JauntVR- two major VR distribution platforms. *An additional $2 Restoration Fee is charged for each ticket to help keep the lights on in the new digs. 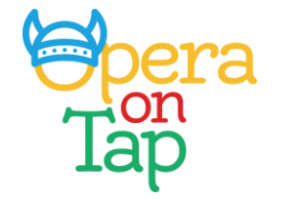 Opera on Tap (OOT) was born in 2005 at Freddy’s Bar and Backroom in Brooklyn and incorporated in 2007 to promote opera as a viable, living and progressive art form and to support the developing artists who continue to keep the art form alive. What began as a small monthly gathering of ambitious, classically trained singers looking for more performance opportunities, has grown into a producing organization that has gained a loyal audience base and national recognition as an innovative force on the classical music scene. Through its Chapter program, which now has 18 vibrant national chapters and 3 in Germany, OOT has created a large network of performers, creators, and supporters.